Did you know "tying the knot" was derived from the Celtic wedding ceremony? Weddings are packed full of tradition and symbolism. 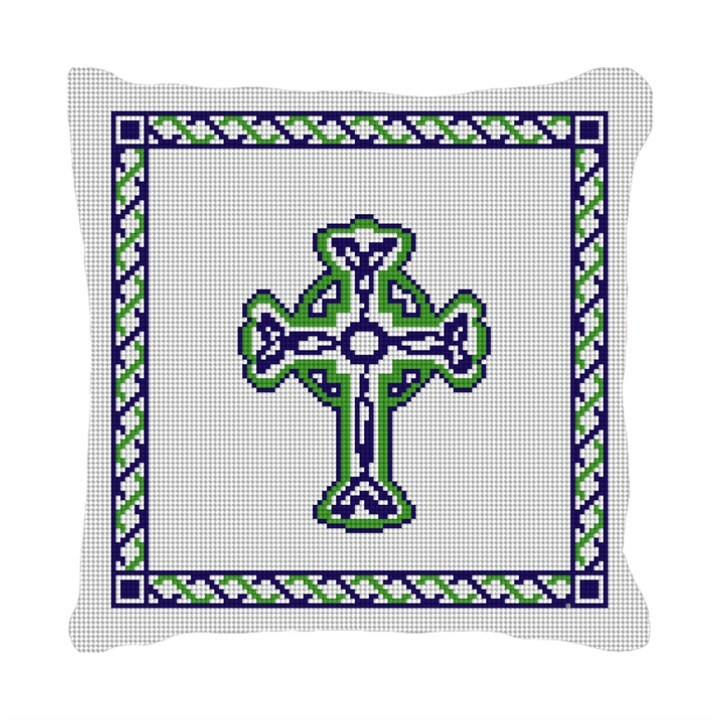 Stitch this classic Celtic Cross needlepoint pillow canvas and add a very special touch to the bride and grooms wedding ceremony. A ring bearer pillow for the ceremony; later to become a fabulous keepsake pillow for the newly married couple's home.